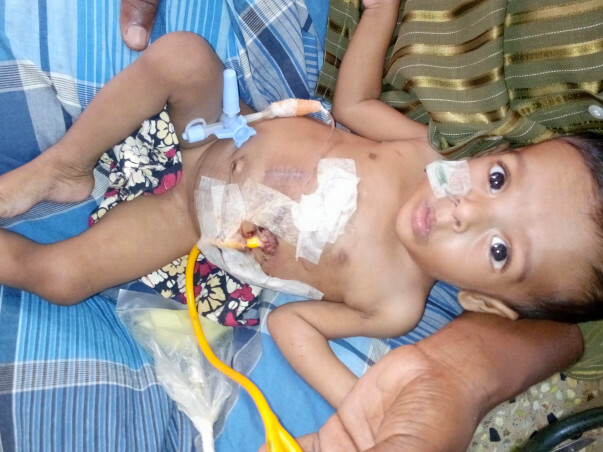 Baby Gnanasoundharyan, 8 months old was born with a blockage in food pipe (Esophageal atresia). The blockage has caused difficulty in feeding the baby. Since the baby is unable to swallow the food, he has to be fed through an external pipe. The baby's stomach has also shifted from the original position and needs a surgery to shift it back to its original location. The Baby's Parents could not afford his treatment. Hence his uncle Arul Prakash, has been bearing all the medical expenses which have crossed 3 lakhs by now. 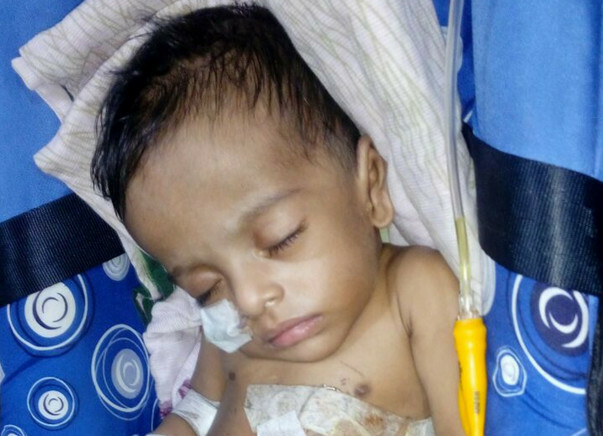 The family requires your support to arrange another 4 lakhs so that the surgery might happen in the coming days which will help to make the baby normal. was not fully developed.The lead to complications in feeding the child as the food when passed through esophagus would not go to the stomach rather would come out of the mouth. Also, any attempt at feeding could cause aspiration pneumonia as the milk collects in the blind pouch and overflows into the trachea and lungs. Furthermore, the condition would allow stomach acid to flow into the lungs and cause damage. Therefore the doctors decided to undergo a surgery to clear the blockage of the esophagus and ensure a natural movement of the food to stomach. However, Baby still requires another round of surgeries since the initial surgery after the birth was only partially successful. The doctors also want to fix the location of his stomach to safe him from any complications in future. 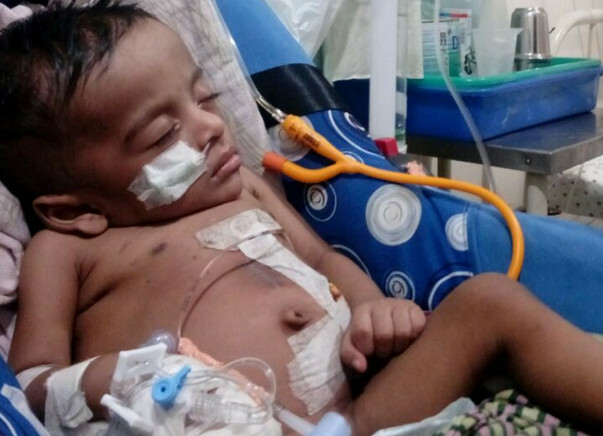 The baby's surgery is a complicated one which would cost 5 lakhs. 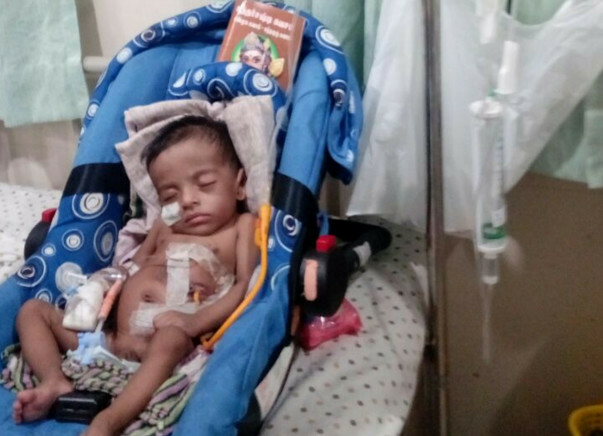 Baby's father Prakash is a collection agent in a finance company and is merely able to make 12500 per month, he is unable to afford the medical expenses for the baby. Till now Gnanasoundharyan's uncle Arul Prakash, who is a civil engineer has been arranging funds for the medical expenses. Already the expenses have crossed 3 lakhs rupees and his surgery still requires another 4 lakhs rupees of funds. Arul already had taken loans during the baby's birth for his initial round of surgery and also has his own family to look after. 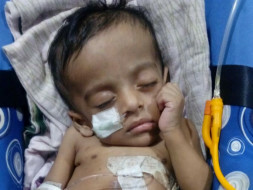 Your contribution will help the family to save baby life and help him become normal. 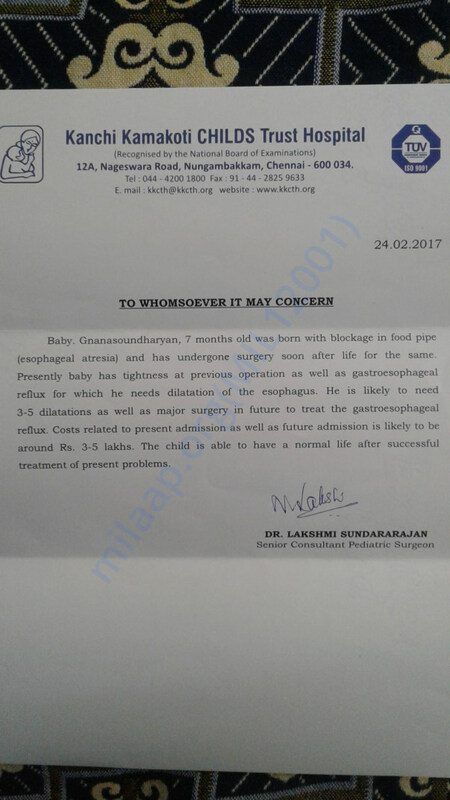 It gives me immense pleasure in informing you all that baby Gnanasoundharyan is doing well now. He was discharged on 21st March, 2018. He underwent throat operation successfully and has been doing well for two months now. He is also able to eat on his own. He does not need a tube anymore. We are required to go the doctor for a follow-up on Saturday (26th May, 2018). We are all hopeful and relieved. Thank you everyone! He is still under treatment & close observation. Thank you for your all support & prayers. He is going to have a major surgery after 2 months. The doctors have not confirmed the surgery date. I will let you all know once the doctor fixes the date. Once again thank you for your support and prayers. Baby Gnanasoundharyan has been discharged from hospital on 01 May 2017. Now the baby is fine and under close observation. Next operation will be after two months as advised by the doctor. Please pray for him to recover soon to normal life. And thank you for all your support & prayer. And please let me know if you have any clarification about the baby..